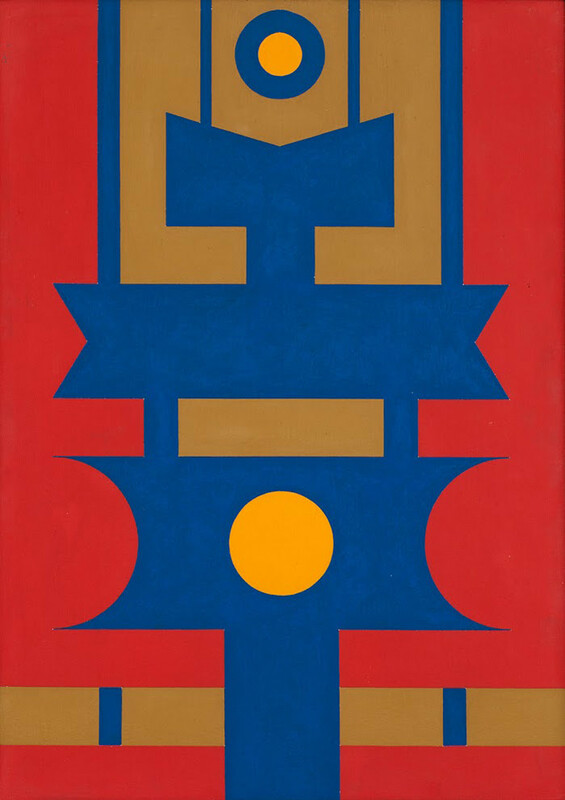 The exhibition Construções afro-atlânticas [Afro-Atlantic Constructions], at the Art Museum of São Paulo (MASP), features 90 artworks by painter, sculptor and printmaker Rubem Valentim (Salvador, 1922 – São Paulo, 1991), a fundamental figure of Brazilian art and Afro-Atlantic histories in the 20th century. Curated by Fernando Oliva (Maria Auxiliadora: vida cotidiana, pintura e resistência, 2018), the exhibition is running until March 10, 2019. © Rubem Valentim, untitled, 1978, acrylic on wood, 37 3⁄4 × 12 3⁄8 × 12 3⁄8″. MASP, a diversified, inclusive and plural museum, whose mission is to establish, in a critical and creative way, dialogues between past and present, cultures and territories, through the visual arts.